In Brazil the predominant culture is not the appreciation of community participation in solving local problems. However the solutions presented by authorities are not the most efficient, and do not solve the problems. 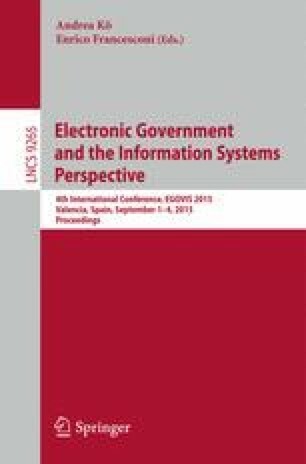 Nowadays, however, with the use of information and communication technologies associated with open innovation and gamification, citizens began to actively participate in decision-making processes of government. In this context, this study aims to describe the project of the 8th State Police Battalion of Minas Gerais, in Brazil, entitled Prêmio Ideia Cidade Segura (Safe City Idea Prize). Through a qualitative and quantitative research, in which we used the case study method, it was found that the project allowed the Police to evaluate new strategies applied to public safety (crowdstorming), to know local and regional needs, to reward the best ideas, encouraged the production of collective knowledge, and also the networking collaboration. Considering the potential contributions of crowdstorming to promote innovations and improvements in the public sector and its potential to engage citizens, it is suggested that the project idea should be replicated in other parts of Brazil. The authors thank the Minas Gerais State Foundation for Research Development (FAPEMIG), the Brazilian Council for Scientific, Technological Development (CNPq) and Federal University of Lavras for their financial support.